Have you ever wondered if where you live impacts how safe you are on the road? Could you have a lower chance of getting in an accident by moving to another state? Well, that all depends on where you live. According to the USOT’s Research and Innovative Technology Administration (RITA), certain states do have a higher incidence of highway fatalities than other states. If you live in California, Texas, or Florida, you live in one of these states. However, there is more to the equation. These states also have the highest number of licensed drivers (in addition to New York), so that has to be considered. Texas also has the highest number of fatal crashes involving alcohol. If you live in Texas, it means that you need to drive defensively all the time. You can’t rely on the other drivers to follow the rules so that you can stay safe. In addition to the high number of fatal crashes, Texas is one of the few states that does not ban texting while driving. This means that at any given time, the person next to you may be taking their eyes off the road to text. You need to be prepared to react if they should start to swerve. It is scary out there. Too many people rely on cell phones to communicate and multi-task when they should be focusing on driving. No matter where you live, safe driving is important. Whether your state bans texting while driving or not (there are only 14 that do not), you should take it upon yourself to put your phone away when you drive. There are even eight states that have a ban on any kind of cell phone use (Washington, Oregon, California, New York, New Jersey, Maryland, Connecticut and Delaware), because even if you are using a hands-free device, your mind is still distracted. However, just because you live in one of these states you are not off the hook. 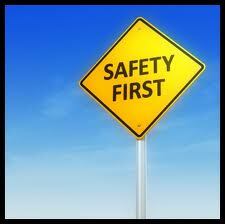 In an ideal world, every person would follow every law regarding safe driving, but that is not reality. Will moving to a different state keep me safer on the road? When it comes down to it, probably not. Your safety on the road is largely determined by how you drive. Wherever you live, there are some safe drivers and some reckless drivers. Your job is to be one of the safe ones.